Welsh channel S4C has launched an on-demand TV service on YouView, available to all viewers across the UK. From today onwards, all the channel's content will be available, allowing YouView users to watch S4C programmes on demand for up to 35 days following the original broadcast. YouView customers in Wales can already watch S4C programmes through the live service, delivered via terrestrial TV on channel 4. However, the on-demand service opens up access to S4C programmes across the whole of the UK with YouView. 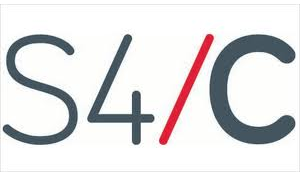 S4C Chief Executive Ian Jones says, "Launching S4C on the YouView platform is a significant step which will place S4C shoulder to shoulder with the UK's other main channels. Our aim is to expand the methods of watching S4C making it easier than ever for people to watch our excellent programming. We know that viewing habits have changed and are continuing to evolve, and the challenge for us is to respond and remain at the forefront of these changes, by listening to our viewers." S4C's on-demand service joins the BBC iPlayer, itv Player, 4oD, Demand 5 plus on-demand services from UKTV channels Dave, Drama Really and Yesterday, and is available independently of any internet service provider chosen to access YouView's on-demand service. Good approach to making the broadcaster sustainable. S4C could really concentrate on making quality programmes such as hinterland that will appeal to the whole of the UK. Just look at The Returned and The Bridge to see that drama is now breaking the English language barrier. Surely S4C content should be available on BBC iPlayer now - seeing as it will be funded largely by the BBC in the coming years?